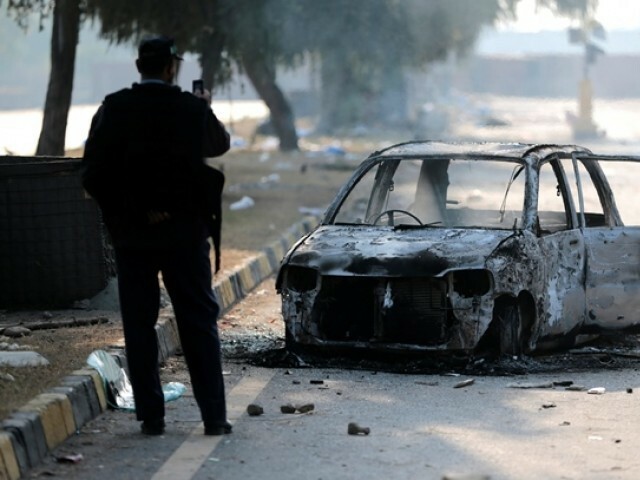 ISLAMABAD / LAHORE: A top-level security huddle on Sunday decided that troops would not be directly engaged to launch an operation against the sit-in of a religious group that has crippled life in parts of the twin cities and ‘peace would be given another chance’. After failed attempts to disperse the protesters — which triggered countrywide protests and brought embarrassment for the government on Saturday — the rulers decided to reach out to them for holding dialogue but no headway was made in this regard. 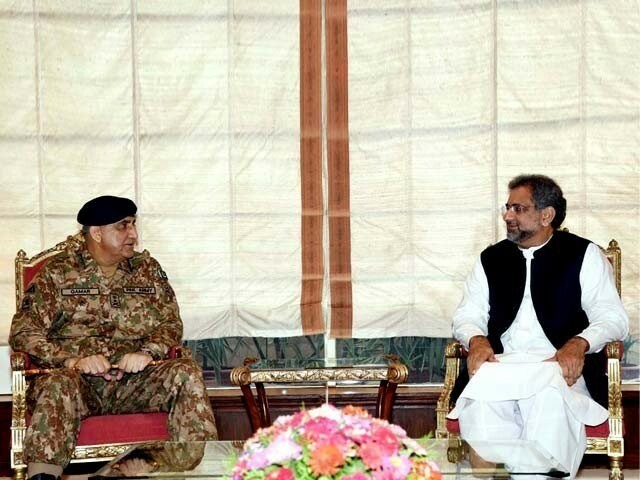 Prime Minister Shahid Khaqan Abbasi presided over the meeting attended by Chief of the Army Staff Gen Qamar Javed Bajwa and Inter-Services Intelligence Director General Lt Gen Naveed Mukhtar. The conclave followed a meeting between the PM and army chief, it was learnt. 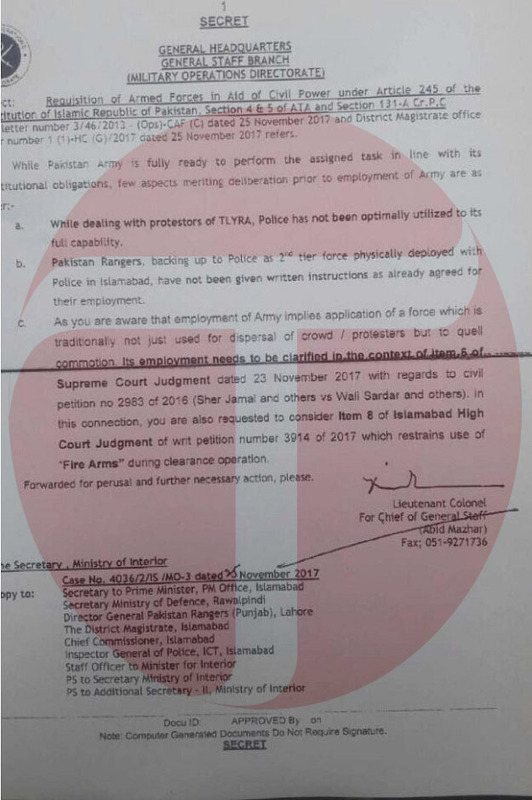 Contrary to media reports suggesting that the army chief ‘refused’ to allow the military to be used against protesters, official sources said the civil-military leadership was unanimous in its decision that the army would extend backend support and the civil armed forces and law enforcement agencies would be assigned to directly handle the sit-in. “It is obvious and understood that the military will not have any role as far as the operation against sit-in is concerned,” a government official said, requesting anonymity. Instead, he said, the meeting decided to hand the operational control of security at the sit-in venue to Rangers, following which a notification to the effect was issued. The military would ensure the security of public property and government installations in the capital, the insider said. 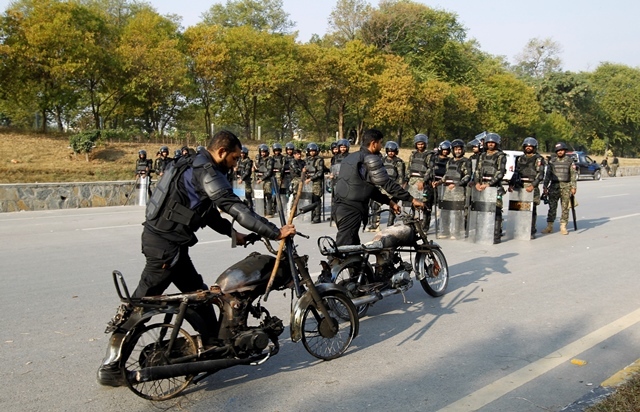 On Saturday night, the Interior Ministry called the military in aid of civil power in the federal capital to handle the situation which aggravated after Islamabad Police and Frontier Constabulary failed to implement the orders of Islamabad High Court to get the protest site in Faizabad evacuated from Tehreek Labbaik Ya Rasool Allah. The religious group demands Law Minister Zahid Hamid’s resignation over a controversy regarding a change in the Khatm-e-Nabuwwat clause that has since been withdrawn. 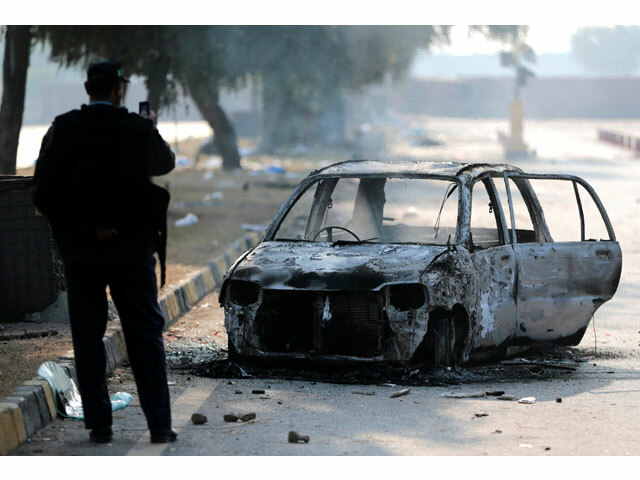 Protests broke out across the country against police action in the twin cities and the houses of senior Pakistan Muslim League-Nawaz leaders came under attack in various areas. 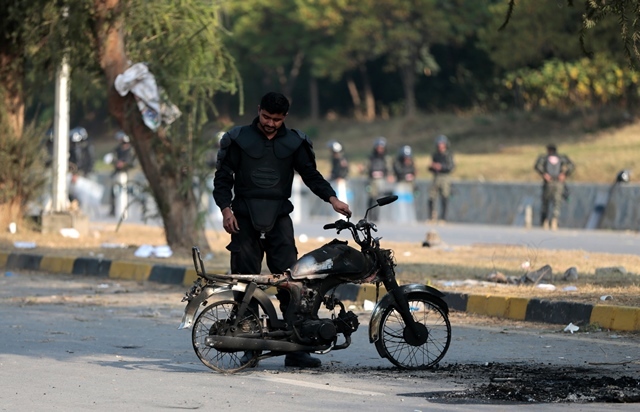 Till Sunday evening, the death toll following clashes between police and protesters in Rawalpindi, Islamabad and other areas had reached seven. Official sources said the Sunday huddle decided that prominent religious figures, including caretakers of shrines and heads of various Barelvi groups from across Pakistan, would be involved in holding dialogue with the protesting leaders to defuse tension. In case the deadlock persists and an operation becomes inevitable, it would be led by Rangers and civil armed forces. The law enforcement agencies like police and Frontier Constabulary would have a supporting role. 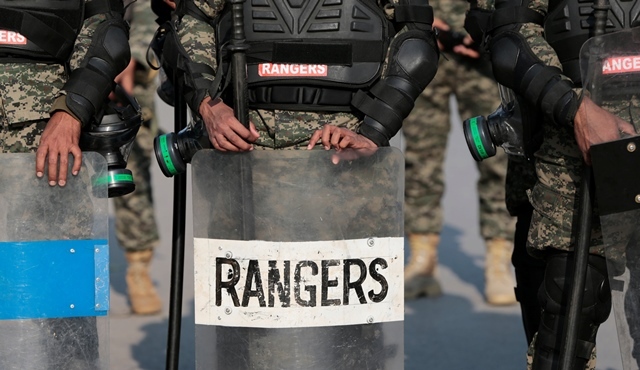 Pakistan Rangers (Punjab) DG Maj Gen Azhar Naveed Hayat Khan has been made in-charge to handle the security issues at the sit-in site. In case the mediatory measures cease to work, the options to use ‘soft force’, including disruption of food and ration supply to the protesters, power disconnection and related measures, are on the cards. Like Saturday, confusion prevailed throughout Sunday as government functionaries were reluctant to share the details of the government’s future plans. 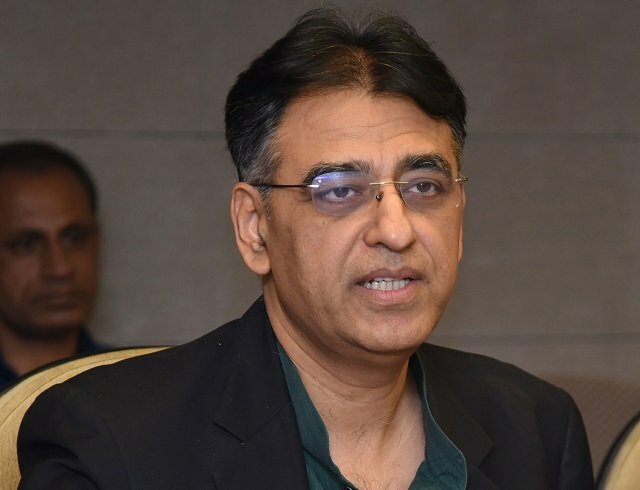 Some unconfirmed reports suggested that the government wanted the military to handle the situation as the ruling lot was ‘desperate’ to get the protests ended before Eid Milad-un-Nabi falling on coming Friday, fearing that public in huge numbers as well as different religious groups would join the sit-in to pose more challenges. 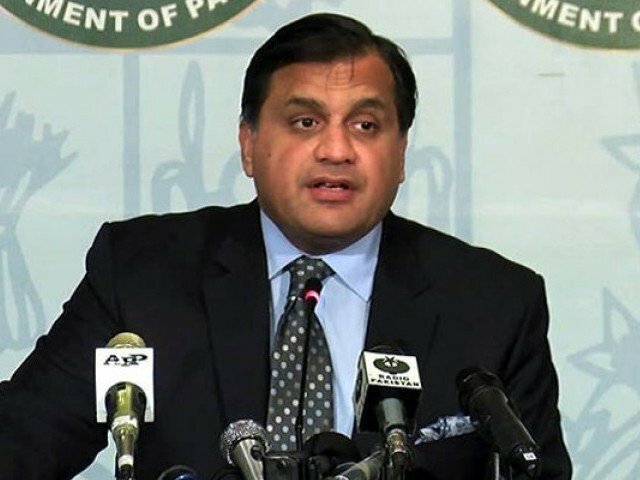 Other reports suggested that the government announced a school holiday in the federal capital on Monday because it intended to launch an operation, while some circles argued that the action had been suspended indefinitely. This, they said, explained why the private news channels that were blocked on Saturday to prevent live coverage of the operation were restored on the ‘advice’ of the army chief.